​That my parents were Irish immigrants is probably the most significant factor in my writing life. The English expelled my father from Ireland around 1920 at age 18 or so for running guns for the IRA. My mother was an illegal immigrant who somehow got on a different ship around the same time and ended up in Harlem. Nice people took her to her cousin’s place elsewhere in New York. She too was 18. The year may have been 1924. Hunger motivated her to leave. Writing is a wonderful obsession that doesn’t make one a drunkard or the parent of illegitimate children. If one has the skill it is worth pursuing. 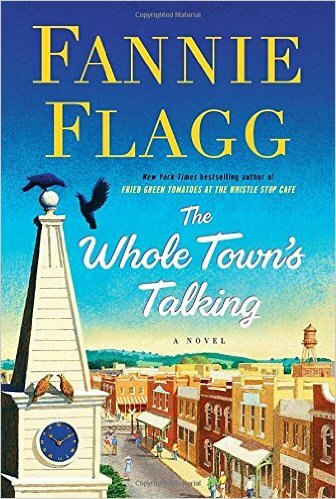 The Whole Town’s Talking is Fannie Flagg’s latest book about a small town in Missouri settled by a Swedish immigrant. Fannie Flagg for those that don’t know has been around since the days of the tv show Candid Camera, circa 1963, where she was a comedy writer there at the age of 19. She went on to have a successful career as an actress, comedienne, and a novelist. Fried Green Tomatoes is her best known book and movie. Anyway this book starts off by telling us how this young Swedish man came to America, settled in Missouri, advertised for a wife, got one, and went on with his life on his dairy farm there. It tells us about the lives of this couple and their descendants as well as the lives and descendants of the other town folk from the 1800’s to 2020, yes 2020. We learn about each succeeding generation and the problems that they faced during the times in which they lived. And even after these characters die off, we still hear from them as the dead talk to each other from the grave. What a hoot. Though this book is an assemblage of stories of the residents of small town America, it is also the story of the demise of that town. Fannie Flagg of course is known for her humor and while this book is filled with numerous humorous stories, it does carry a serious overtone to it. Some parts even brought a tear to my eye. Nonetheless it’s a light fluffy fun read, about three hundred pages long, with no political agenda like a lot of books today. It’s just a heartwarming feel good story. One thing about the book that left me hanging was that some of the dead in the cemetery suddenly disappear overnight from their graves for no apparent reason at all. One day the dead body next to you is here and talking to you and the next morning you wake up and your cemetery neighbor is gone. No one knows the how, why, or where of it. I kept hoping that at the end we would find all this out. But no we don’t. The reason for this is obvious. So that you will buy the sequel. Ms Flagg unabashedly makes this clear on the last page. Stay tuned Fannie Flagg fans for more heartwarming nostalgia coming soon to a bookstore near you! Obviously this book is not of a literary nature. No symbolism, no flowery words, no reflections of the mind, no soul searching, no painting of word pictures. Just daily down to earth language of the common folk. That is what makes the book work. Makes it enjoyable. Makes you want to keep reading to see what happens next. So if you’re a Fannie Flagg fan, and even if you’re not, you have to read it. You won’t be disappointed. PETER DABBENE - SUBURBAN COMPLAINT # 1076: SQUIRRELS! 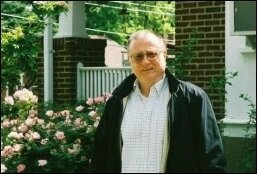 Peter Dabbene’s poetry has been published in many literary journals, and collected in the photo book Optimism. He has published the graphic novels Ark and Robin Hood, the story collections Prime Movements and Glossolalia, and a novel, Mister Dreyfus' Demons. His latest books are Spamming the Spammers and More Spamming the Spammers. He writes a monthly column for the Hamilton Post newspaper. His website is www.peterdabbene.com. Suburban Complaint # 1076: SQUIRRELS! It began with footsteps--little scurrying footsteps at the crack of dawn, every morning, on the roof right above my bedroom. It was like renting an apartment under a hundred tiny, terrible tenants who run everywhere. The windows of my house don’t allow a view of the roof proper, but they do offer a view of the small section of roof over the back porch. There, under the eave, near the gutter, was a small hole in the slowly rotting, half-century old wood. The roof had been redone several times over the years, and the porch supports themselves were replaced just a few years ago. But the eaves had been ignored, and I watched in dismay as a squirrel darted across the roof and disappeared into the opening. I moved to the kitchen window for a better look, and saw the squirrel’s face peeking out, staring me in the eye. They say the eyes are windows of the soul… this squirrel’s eyes were black. Never have I wished so fervently for the repeal of local gun control ordinances regarding the discharge of firearms. There was no telling how far into the eave the squirrel had penetrated; after 50 years, the interior might have been completely hollowed out from rot before the squirrel ever made his way inside. If not, some light burrowing would forge a path easily enough, while also providing the shavings for a comfy little nest. Over the next few days, the footsteps began to sound different. Not greatly different; not even enough to discount an overactive imagination on my part. But I began to suspect that maybe, just maybe, the squirrels were no longer on the roof. Maybe they had gotten into the attic. I looked outside with a new intensity. It seemed there were squirrels everywhere: hopping across the lawn, mingling with their rabbit friends; on the branches of the many pine trees that line the yard; along the fence near the last vestiges of the vegetable garden (or as it has come to be known, the squirrel rest stop and diner). Every squirrel was a threat, a potential invader. I had to wonder: do they get many calls from people saying, “Look… I don’t want to get you nervous, but… THERE’S A SQUIRREL OUTSIDE MY HOUSE!” Do crazy, rabid squirrels often lay siege to a household, preventing resupply and terrorizing the inhabitants until there’s no choice but to call on outside help? I agreed. Dead squirrels in the house seemed problematic. I pictured… Never mind what I pictured. “Maybe you guys can help?” I asked, feeling as impertinent as Oliver Twist asking for more gruel. “We can’t really do much about the squirrels’ lack of morals.” It was hard to tell if he was joking. Okay then. Well played. It’s my job to get the squirrels out of the house. If they’re there. How? Home Depot is selling groceries now? Wow, that’s convenient. They must really be expanding… Oh. The trap. Get the trap at Home Depot. Not the peanut butter. I first pictured the triumphant, heartwarming return of a lost animal, like Lassie in Lassie Come Home. Then I imagined angry, vicious squirrels returning for vengeance. Angry squirrels seeking revenge: truly, the stuff of nightmares. As long as the bear is outside the house, right? Hello, there’s a bear out--oh… wait… the bear just came inside. Never mind, I’ll handle this myself. I arrived at the local Home Depot and flagged down one of the orange-vested employees, delaying his urgent mission to bring a box somewhere to the other side of the store. I told him about my situation. The consensus view was that the squirrels were a problem. At least we all agreed. My guide stopped in front of aisle nine and pointed toward the animal control section. He said nothing, which made me feel like Ebenezer Scrooge being pointed toward his gravestone by the tall, dark, and spooky Ghost of Christmas Yet to Come. But of course, that comparison was ridiculous, since my guide was dressed not in a hooded death shroud, but in a bright orange vest that looked like a less cumbersome version of a personal flotation device, along with a nametag that read “Sam.” Indeed, watching him race away, eager to make up lost seconds, his box clutched tightly in hand, I felt distinctly like a drowning man watching his only hope for help floating away on the waves. As with most things I’d never thought of until I needed them, Home Depot had a whole section of animal control devices. I still think if I had to bet, there would be a jar of peanut butter on one of those shelves. The HavaHeart brand was well represented, with traps of various shapes and sizes. Did you want to rid your home of mice? Rats? Too many rabbits in the yard? Skunk problem? Raccoons? Armadillos? Annoying neighbors, on the shortish side? No. Not kill. My mistake. A confession: I didn’t really care much about the squirrels’ well-being at this point. If there were an IHaveNoHeart squirrel trap that took care of the problem, as we evil types like to say, “permanently,” I gladly would have purchased it, provided it didn’t require any messy cleanup. But there was no such option, so Havahart it was. The appropriate box featured pictures of happy little squirrels, the likes of which the late painter Bob Ross never imagined. This was non-lethal critter control. I tried to picture myself relocating squirrels, and failed. But that squirrel on the box was pretty cute. All right, I decided. The squirrels would live. If they cooperated. Later, as I read through the manual and set the trap near the back porch, I had to wonder: Could it really be this easy? Squirrels were smart, weren’t they? After all, they remembered where they buried all those acorns every year, didn’t they? Did they? Maybe, intelligence aside, they just had a weakness for peanut butter. It happens to the best of us, particularly when combined with chocolate. Other questions came to mind: How do the squirrels know peanut butter tastes good? They’ve never had peanut butter before, have they? Or is this an accepted means of travel in the squirrel world--hang out in one area till you see the magic peanut butter transportation device, and whoosh! Off you go? Maybe Mr. Squirrel’s had enough of being cooped up with Mrs. Squirrel all winter. And if she’s pregnant, hoo boy! I’d go for the peanut butter too. Perhaps I was overthinking this. Within an hour, I had caught my first squirrel. Not expecting success so quickly, I hadn’t yet planned my squirrel relocation strategy. Luckily, I happened to be headed someplace approximately 20 miles away, well beyond the minimum distance for avoiding the “boomerang squirrel” effect. I grabbed the trap by the convenient carrying handle, placed it inside the hatchback trunk of my wife’s car, and headed out. I was in the driver’s seat, the squirrel in the storage area behind the rear bench. It’s a small car, but it seemed a vast distance between me in front and my prisoner of war in the back. Still, if the squirrel escaped the cage, perhaps shaken loose during a bumpy stretch or a sharp turn, there would be mayhem quickly enough. Driving in a car with a squirrel is unnerving. Words simply can’t describe the dangerous, heady thrill of transporting a wild animal in one’s automobile. Don’t get caught up with descriptions of size or relative harmlessness--wild is wild. And the chittering… the chittering had suddenly stopped. Newspapers. I’d forgotten newspapers. The bottom of the trap was mostly open, metal lattice. “You better not crap back there, squirrelly, if you know what’s good for you,” I threatened. Verbal warnings might seem pointless, but I was taking nothing for granted. Besides, I was desperate--despite my best efforts angling mirrors and craning my head around for a better look, I couldn’t see what he was doing. If it was a he. I wasn’t about to check. I figured my chances of the squirrel not evacuating his bowels, as his took his first car ride, in his first cage, were slim. I arrived at my destination fully expecting squirrel poop in the car. I wasn’t sure what squirrel poop looked like, exactly, but I expected something. Instead there was nothing. Maybe the threats had worked. Maybe adrenaline, or the squirrel equivalent, had kept him from relaxing enough to relieve himself. Maybe this hadn’t been his first time in a cage or a car, and it was no big deal. Or maybe the little bugger had been literally scared shitless. I prepared to release the squirrel from the cage, using the easy release lever. Why not do it the easy way? The situation had enough potential for difficulty, it didn’t need any help. I imagined the squirrel escaping the cage, then turning and making a beeline for my leg, ready to give a little payback for the kidnapping. I lifted the release lever, the squirrel darted out, and we both ran in opposite directions. Over the next few days, I considered attempting a peaceful co-existence with the squirrels. There was much to respect about my adversaries, after all: they emerged every day without fail to go about their business, even in the dead of winter--squirrels don’t hibernate. If they went out once a day, around 8 in the morning, returning at dark, maybe I could live with that. But these were animals imbued with a strong Puritan work ethic, and every day, they woke with the sun to do whatever it is they do, after a noisy and frenetic round of squirrel calisthenics. So, after the initial misgivings, I quickly settled into my role as a squirrel trapper. Let me tell you, those squirrels loved peanut butter. Any time I was going to be traveling alone more than 15 miles, I’d casually set the trap an hour or two beforehand, and bam! I’d have myself a traveling companion. I delivered squirrels in every direction, to parks and parking lots alike. My wife labeled me a destroyer of families; she so clearly sided with the squirrels in this matter, I wondered if the remaining squirrels had taken to standing vigil outside her car in the mornings, or if they’d played on her sympathies in some other, equally despicable manner. An unsettling turn came when one squirrel’s capture and relocation in the morning seemed to elicit another squirrel’s suicide in the evening. I found the suicide squirrel face down, spread eagled, a few feet away from the back porch, near the spot where the morning squirrel was caught. The porch roof is only about ten feet off the ground, but maybe when you’re a two pound squirrel, that’s enough to do the job. Like a detective on the squirrel beat, I studiously sought some other explanation, looking at every possible cause of death; but there was no nearby threat of electrocution and no marks on the body as if it had been attacked. The squirrel seemed to have just decided to take a header off the gutter, nose-diving into frozen ground. Unfortunately, this only strengthened my wife’s resistance to the squirrel war. I didn’t, though--not completely. Yes, the squirrels were pests, but an inkling of guilt set in anyway. That guilt stuck in my craw, and I held off on setting the trap for a day or two. Until one morning at 3 a.m. when I heard them up above, fighting, or playing tag, or mating, or maybe all three, who knows? Horny squirrels in the attic--that’s something that’ll make you feel like you’re living the good life. I will thank the squirrels for one thing--due to a failure to get back to sleep, well… let’s just say the squirrels weren’t the only mammals getting busy that night. The guilt was gone, replaced by a renewed lust for squirrel incarceration. That morning, I resumed my war, setting the trap with extra peanut butter, ready to wreak havoc on the careful life plans of squirrels everywhere. I notched a mark on the top of the peanut butter jar for each squirrel caught. When I reached ten squirrels trapped and relocated, I began to imagine the remaining squirrels talking about me, as I watched them chittering away to each other: “Hey, it’s that guy who carted up Uncle Louie and drove away with him.” That’s right, squirrels--you take a trip with me, you’re not coming back. Of course, they didn’t know that the place I’d selected for Uncle Louie was actually a quiet little parkland with lots of trees. But that didn’t matter, as long as they were scared. There were a few hiccups along the way, like my encounter with Houdini Squirrel, who was securely locked in the trap but a few minutes later had escaped, having turned the trap over but with all the locks still in place. I shrugged it off, mystified, and caught more squirrels. I imagined myself as Davy Crockett--but instead of a coonskin cap, I’d wear squirrelskin. I was the Johnny Appleseed of squirrels, planting whole colonies where I deemed fit. I was Johnny Squirrelseed. I admit, my ego began to get the best of me. There’s something very God-like about being able to redistribute whole groups of animals, seemingly at will. My respect for the squirrels waned. Later, I would read that squirrels have brains smaller than their nuts, which can be taken two ways, and maybe three, none of them flattering to the squirrels. How can squirrels find their nuts, with just a nut-sized brain, when they haven’t seen their nuts in over a year? Some animal researchers say it’s just random; they just sort of poke around in those areas where you’d most likely find nuts, and all of a sudden, bingo! You’ve found your nuts. Male squirrels in particular spend much of their time preoccupied with their nuts. Speaking of squirrel brains, by the way, there are people who eat squirrel brains. Just when a squirrel-free zone around the house seemed a real possibility, it happened. Or rather, it stopped happening. I set the trap as before, baited it the same way, but the squirrels didn’t come. The peanut butter sat untouched for days. At first I was joyful, thinking I’d cleared all the squirrels from the vicinity, but one look from the patio proved I was wrong. They were still there, watching from the trees, from the fence, from the birdbath at the far end of the yard. They were staring, all of them--at me. This was war. In all wars, men are sometimes moved by extraordinary circumstances to do things which seem acceptable amid the fog of war, but which later evoke feelings of embarrassment, or shame. The squirrel war was no exception. With the squirrel trap no longer effective, I was searching for another means of attack. Or, if not a means of offense, then at least a means of defense. It was late one night, everyone else in the house was asleep, and I had to pee. Due to a bathroom renovation, the downstairs toilet was not usable. The only other toilet in the house was across from the kids’ rooms and could not be used without the risk of waking them up. If the kids woke up, I’d spend the next hour getting them back to sleep. I let the dog out the back door to pee, and yes, like a freight train that’s been switched down the wrong track, the solution presented itself: If it’s good enough for the dog, why not me? I spent the next few minutes debating internally whether or not to actually pee in my backyard. I checked the area. It was dark--there were no lights on inside the house, and the moon was mostly concealed by clouds. I noticed the dim silhouette of one of the trees against the even blacker sky, and thought of the squirrels. Back in Home Depot, I had skipped the deer and squirrel combo repellent, thinking I didn’t want to start putting chemicals all around the house. Not just yet. Not unless absolutely necessary--and then I’d bomb them like “Chemical Ali” on a bad day. I recalled hearing something about deer being afraid of people, so much so that if a fawn has the scent of man on it, it will be abandoned by its mother. This was strictly anecdotal (half-remembered, anonymous anecdotal, no less--certainly the best kind for deductive reasoning) and at that moment the other, contradictory anecdotal evidence, like friends who regularly fed deer from their back porches, did not come to mind. The scent of a man? If that’s not code for “urine,” I don’t know what it is. Unless it’s the title of the all-male, culturally correct sequel to the unfortunate 1992 Al Pacino movie. If there was a single repellent to combat both deer and squirrels, then the animals must react to it the same way. And if they reacted the same way to that repellent, wouldn’t they both be equally repelled by the “scent of a man”? At 2 a.m., my logic seemed faultless. I laid down a line in the sand--in pee--daring the squirrels to cross it. The dog looked at me, confused and possibly wondering if, at long last, the roles had been reversed and she would now get to sit in the big comfy chair, use the remote control and pee inside the house. Later, on a non-squirrel related trip to Home Depot, I saw that the deer and squirrel repellent contained no urine, but instead consisted of “putrescent whole egg solids,” “capsaicin & related capsaicinoids” (the stuff in chili peppers), and garlic oil. In other words, if you throw a spiced-up stink bomb in your backyard, they’ll stay away. But human pee? Turns out it’s not terribly effective. I assume the squirrels got a good laugh out of that one. I stand at the kitchen window and watch the squirrels eating their acorns or hiding them away. I wonder what they’re thinking about. Do they realize that I am their doom, or do they see me, in the aftermath of the yard urine incident, as just another would-be squirrel smiter? What is their long-term strategy for the continued occupation of my yard? What are their likes and dislikes, their turn-ons and turn-offs? Maybe humans, being the most intelligent animals on the planet, are simply unable to understand the primitive mammal mind of the squirrel. Primitive mammal minds? That’s so 100,000 years ago. Done there, been that, as Darwin might have said. Watching the squirrels chow down makes me wonder: can people eat acorns? We eat a lot of other tree nuts: walnuts, chestnuts, and pecans, among others. Still, I seem to remember--anecdotally--being told that acorns are poisonous to humans. Looking at all the fallen acorns on the lawn, though… hundreds, maybe even thousands--an acorn utopia--I begin to entertain delusions of living off the land cheaply, happily and self-sufficiently. I also consider Midwest militia-style delusions that if one day confronted by agents of a tyrannical government, I could hole up inside a tree for a few weeks, to plan a counterattack or just give the tyrants time to tire of the whole business. I even indulge in more modest delusions, like imagining that if I were dropped in the 3.5 acre woods of the nearest park, and was somehow unable to follow the color-coded trail markers or summon help via one of the still-working pay phones, I would not starve. These are delusions, soon recognized as such, so I turn my attention toward reality--the squirrels--and I have what seems an epiphany. I recall accounts of aboriginal tribes which, before embarking on a hunting expedition, would eat as their prey did, to better understand the mind of their quarry. It might sound unlikely, but this method has the potential to yield valuable insights into the inner workings of the squirrel brain. Plus, I am curious to see what acorns taste like. First, I must assure my safety concerns by doing some research. “Doing some research” used to sound impressive, conjuring images of stacks of books, and hours spent poring over them in a musty library. Now, people just assume you typed a search word, or maybe a phrase, into Google and picked the first result. I type “can people eat acorns” into Google and choose the first option. After reading the link, I decide that eating a food many people believe to be poisonous requires more diligent research. So I click on the second link, too. Apparently, acorns contain tannic acid, a toxic substance which, among other things, is used in wood stains. The idea of drinking a container of wood stain doesn’t exactly whet the appetite, so I read on. The consensus seems to be that if you soak the acorns in water, then dump the water and repeat, at least twice a day, for 7-10 days, you can leach out the toxic tannic acid, making the acorns edible. I am about to risk my health on the word of a bunch of people I’ve never met. But they have nice websites, so I figure it’s okay. During a family trip to the park, I gather a dozen acorns, and, making sure the squirrels can see me, pocket them--“squirreling them away,” as it were. Oh yes, squirrels. It’s coming. At home, I find a nutcracker and shell the acorns. One of them has a small wormy grub-type thing nestled up inside it. That goes in the garbage, so we’re down to 11 acorns. There will be no mention of the squirmin’ vermin to my wife, lest the experiment be forcibly abandoned. The rest of the acorns soak, and over the course of the day the water turns brown. I follow the instructions, draining the old water and filling the bowl with new. Day 1: Light brown color to the water. Drain and refill bowl twice. Day 4: Still changing the water twice a day, the water still turns brown. I consider tasting a small piece of acorn now, but decide to wait instead for the feast that will occur somewhere around day 10. Day 7: Still soaking, still changing water. The acorns are getting a little black and mushy in places, and I have to toss a couple in the garbage. The rest are going strong. Well, maybe not strong, exactly. Day 9: By all accounts, the acorns should be nearly drained of tannins by now, but the water still turns light brown after a few hours, so apparently they’re not ready yet. Still, maybe a little toxic tannin would grant me the insight I seek, a mystical experience akin to those of Native Americans invoking the spirits of their “power animals,” or totems. Of course, from the accounts I’ve heard, the Native Americans typically smoked peyote during these ceremonies instead of eating waterlogged acorns. Sounds like a good excuse to smoke some peyote. The idea of a “squirrel spirit” is intriguing. My original idea of seeking squirrel enlightenment was vague, at best. A giant squirrel (it’s a power squirrel, after all) appearing before me is a much more vivid realization of the enlightenment concept than the admittedly new-agey technique of eating the same food. Do I feel like a meek little rabbit when eating a tossed salad? Do I feel like a lion when I eat steak tartare? Well, maybe. The giant squirrel is such a vivid image, in fact, that twice this evening I’ve had nightmares involving an oversized and quite unhappy squirrel. Day 10: Some of the acorns have grown hair. Question: Does a certain kind of animal consistently appear in your life? Answer: Squirrels (and my dog). Q: Is there a particular animal that you see frequently when you’re out in nature? Q: Have you had recurring dreams about a certain animal? Q: Are there any animals that you find to be extremely frightening or intriguing? A: Frightening? Not until the giant squirrel nightmares. Do I find squirrels intriguing? Yes. More than most mammals, anyway. Q: Have you ever been attacked by an animal? A: If by “attacked,” they mean “invaded,” then the answer is yes--squirrels. It seems that my power animal is (as I suspected) the squirrel. According to the book, the squirrel spirit represents “planning and gathering”. With the stunning self-realization that accompanies daily horoscope readings ‘round the world, I tell myself: This is true. I am a planner. I have planned a three-week, 12,000 mile cross-country R.V. trip down to the individual hour; I have planned the retirement income strategies of rich and poor alike; I have planned successful supermarket trips on a weekly basis for years, clipping coupons and noting sale items for maximum return per minute shopped. “The prophecy is fulfilled!” I exclaim. Strangely, this climactic moment is followed by a strange, empty silence. I decide that without peyote, it’s just not the same. Instead, I check my acorns again. More have grown hair; or more specifically, an unappealing black fuzz. Day 12: With only a few acorns that haven’t grown hair, it’s now or never. All for the greater good, sacrifices must be made, et cetera, et cetera. Thinking I may be condemning humanity to number 2 or 3 on the intelligence list, I select the most hair-free acorn I can find, and eat it. Correction: attempt to eat it. Think, if you will, of the foulest, bitterest thing you’ve ever tasted. If that food is the girl who was last to get asked to the prom, then this acorn is her ugly stepsister who stayed home. It’s really, really bitter. Day 13: Having failed at understanding the squirrel mind through the acorn experiment, I open a can of Planter’s Mixed Nuts (with Sea Salt) and indulge. I almost feel bad for the squirrels, with their bitter acorns and unsalted nuts. By the end of the can, I feel sluggish and lethargic--not unlike a squirrel at the onset of winter, perhaps? My plan is back on track. Gotcha! I try changing the bait in the trap. I try disguising the trap. I set the trap on a low-hanging branch of a tree. Nothing works. I examine the previously mentioned local ordnance ordinances, in detail, and briefly consider the purchase and subsequent use of a BB gun and/or airgun and/or bow and arrow. The two small children who live with me have a knack for darting outside quickly, however--the risk of collateral damage is too great, according to my wife, who threatens divorce more than once. Without some form of lethal culling at the ready, replicating a squirrel’s chatters and barks might do nothing but summon all of the neighborhood squirrels at once for a proper, all-out, teeth-bared invasion--no more of this skulking around in holes stuff. It is a prospect which, I do not mind admitting, causes me great fear. But distress cries? Squeals? Maybe I can frighten the squirrels into evacuating. Think about it in human terms, and it’s roughly equivalent to their living in a haunted house with bodiless howls and moans carrying through the halls, or maybe more like having a neighbor screaming for help at random intervals, but never actually seeing the neighbor. Mulling the purchase, I return home and check out the Western Rivers website for more detailed information. Luckily, Western Rivers provides free MP3 downloads of numerous animal calls, including classics like “Squirrel Barks,” “Squirrel Chattering,” “Squirrel Distress,” and my favorite, “Squirrel Distress 2.” Please attend www.western-rivers.com/downloads for the companion audio component of this section. For those unable to partake, let me simply describe “Squirrel Distress” as the aural equivalent of being tapped on the skull, rapidly and consecutively, for three minutes. “Squirrel Distress 2,” by contrast, is more like listening to parakeets being strangled. These sounds, played regularly, might drive the squirrels away, but they would probably drive my wife and children away first. And who knows? Maybe a hero squirrel or a small squad of squirrel commandos would hear in the cries a call to action, slipping into the house in search of some nonexistent captive. Then where would I be? With a houseful of angry commando squirrels, that’s where. With no further success against the squirrels, and no further insights into the squirrel mind, I begin to feel like the South Vietnamese being overtaken by the North Vietnamese Army, circa 1975. This comes on the heels of other observed similarities between my squirrel war and the Vietnam conflict: the difficulty of defeating the enemy despite greater technical and technological advantages; a false sense of inevitability to the winning of the war; poor strategic decision-making; and finally, vocal and significant opposition to the war at home. I see visions of my house as the U.S. embassy, in flames (damned squirrels must’ve chewed the wiring), me and my family being airlifted out by helicopter. I am left thinking that perhaps the squirrels are intelligent after all. Or, the more frightening prospect: maybe they’re just more intelligent than me. Again conducting extensive research (the first four Google links), this time on animal intelligence, I am relieved to see that humans are still #1 on the list, though we have to question the objectivity of assessments made by humans--it’s conceivable that we might be a bit biased. Tree squirrels are listed as high as #10 or #11 in some rankings. Not to be confused with gophers, also known as ground squirrels, which are not considered quite as smart. Ground squirrels. I think of Bill Murray in Caddyshack--humorous, yes, as he blows up the golf course to kill the gopher… but was it a failure of strategy, or of implementation? The latter, apparently, as the city of Spokane is now detonating ground squirrels (look it up if you don’t believe me). Blowing holes in the yard with a Rodenator (www.rodenator.com) is appealing, but my enemy lurks above, not below. What, then? How to destroy their habitat? The trees! Destroy the trees! Cut them down! No! Burn them! Burn them all! I happen to have The Doors’ first album handy. I crank it up on the stereo and open the windows so the squirrels can hear. Track 11. In hindsight, it’s fortunate that my wife discovered my plan before implementation. “Just seal the house,” she said, with a note of impatience. How naïve. How hopelessly, embarrassingly naïve. What’s that you ask? Why not seal the house? Well, aside from the trouble of actually doing the work, there is and has always been the added disincentive of possibly trapping a squirrel inside the house, to die and rot in the attic or perhaps emerge suddenly from a wall or ceiling, having eaten its way out like the eponymous baby Alien in the 1979 movie. Except baby squirrels don’t eat flesh. That we know of. Still, after conducting forced relocations the likes of which the Nuremberg Trials never imagined; after seeking and failing to understand the squirrel consciousness by eating poisonous nuts; after urinating in my back yard in a desperate and ill-advised attempt to repel them… I just wanted it to be over. I decided to risk the squirrels-as-Alien-facehuggers/chest-bursters scenario. The how of it was a consideration. Hire a carpenter? Attempt to nail some sheet rock in place to patch holes? Duct tape? You may now guess, based on your understanding of my temperament, judgment, and abilities (or lack thereof) which option I chose. Carpenter? Too easy. Too expensive. Too impersonal. Making a phone call to solve the problem, after all I’d suffered, would be unsatisfying. The hourly rates of carpenters borders on the extortionate. Finally, and most importantly, I needed to finish this. To paraphrase and overcomplicate the oft-used movie trailer line, this time it wasn’t impersonal. Maybe something I could handle myself, then. Sheet rock? Or plywood? Too bothersome. There was the sizing, the cutting, the fastening. Too much opportunity for injury and/or frustration. Duct tape. It required scissors, which I owned and had often used (if I may be immodest) expertly. In H.G. Wells’ War of the Worlds, the inhuman invaders are foiled by means some might consider inferior: the simple, lowly bacterium. Similarly, my invaders were beaten by an invention that has been reduced to fodder for jokes. Duct tape: so humble, and so versatile. So many uses, and add one more to the list--evicting squirrels from an eave. That was it--a quiet, uneventful end to the problem. There were no facehugger/chest-burster squirrels emerging from the walls. There was a cat who climbed the garbage cans on the side of the house, got stuck in an old air conditioner opening, and may have died there after much meowing, but that’s another story. The footsteps above the bedroom stopped, for a time. Which leads me to believe I might have avoided all of this if I’d just gone to duct tape in the first place. Things were peaceful, for a few weeks’ time. There were no footsteps in the morning, at least none that I heard. And every morning, I looked out from my kitchen window upon the proof of man’s superiority, our justification for that #1 slot on the intelligence list: duct tape. Then I noticed that the duct tape had come loose on one side. True, this followed a day of solid pelting by snow and rain, so it may have been strictly the weather’s doing. But there was a chance, however terrible to consider, that the squirrels, seizing the opportunity the weather had granted, or worse, gnawing and pulling the tape away themselves, had re-deposited themselves inside the eave. The duct tape flaps in the wind, still attached securely at one end, while the other end flies freely, like a flag. Its color is significant--not white, of course, as surrender is no longer an option, even if scorched earth becomes my only recourse--but rather the dulled silver sheen of weathered duct tape. To the squirrels, I’m sure it means the invasion is still in progress. I still feel like a character in a zombie movie, waiting for the next wave of ill-intentioned invaders to arrive. Meanwhile, the squirrels gather above my bedroom and dance. They scour my lawn for the buried, bitter acorns, chittering among themselves, occasionally collecting in groups of three or four and plotting their revenge. As for the hole in the eave, I sometimes think--but cannot be sure--that I detect within its confines two small, black, soulless eyes looking out upon the world. MINDANAO AND SULU ADDRESSED TO THE UNITED NATIONS GENERAL ASSEMBLY SPECIAL COMMITTEE ON DECOLONIZATION OR C-24, EARNESTLY AND FERVENTLY PRAYING FOR IT TO INCLUDE THEIR ANCESTRAL HOMELANDS IN THE LIST OF NON- SELF-GOVERNING TERRITORIES TO BE DECOLONIZED WITHIN THE THIRD INTERNATIONAL DECADE (2011-2020) FOR THE ERADICATION OF COLONIALISM IN ALL ITS FORMS AND MANIFESTATIONS PURSUANT TO THE U.N. GENERAL ASSEMBLY RESOLUTION 1514 (XV) OF DECEMBER 14, 1960 OTHERWISE KNOWN AS THE DECLARATION ON THE GRANTING OF INDEPENDENCE TO COLONIAL COUNTRIES AND PEOPLES.
" According to the China annals, in 1726 during the reign of the Manchu Emperor Yong Ching, the Sulu Sultan Muhammad Badar Ud-Din, sent a memorial to the emperor with tribute. The same Sultan again sent tribute the next year. It consisted of pearls, turtoise shells, weapons, mats, cloth, monkeys, bird's nests, etc." "Hubris led the Spaniards to claim Muslim Mindanao and Sulu as part of Filipinas, although Spanish sovereignty was never effective there, except in Zamboanga where they maintained a forward outpost against the Muslims." 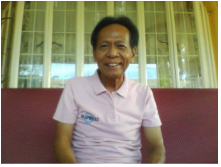 "The Muslims did not know that the Treaty of Paris which had ceded the Philippine Archipelago to the Americans, included their land as well." "No state shall, without the consent of Congress, lay any duty of tonnage, keep troops or ships of war in times of peace, enter any agreement or compact with another state or with foreign power, or engage in war, unless actually invaded, or in such imminent danger as will not admit delay." "Preparing for their mission, Bates and his staff scoured the Spanish archives in Manila and discovered that Spanish sovereignty had in fact been no more than a myth and a contrived fiction. Of greater significance, it was dubious Spain had ever the right under international law to cede the lands belonging to the Moros as part of their landholdings in the Philippine Islands. This discovery prompted Otis to revise Bates mission to one of gaining acceptance of U.S. sovereignty by the various Moro peoples, and pledge for them to stay neutral during the fighting to come, a daunting task." "Article IV- While the United States may occupy and control such points in the archipelago of Jolo and public interests seem to demand, encroachment will not be made upon lands immediately about the residence of the Sultan, unless military necessity requires such occupation in case of war with a foreign power; and where the property of the individuals is taken, due compensation will be made in each case. Any person can purchase land in the archipelago of Jolo and hold the same by obtaining the consent of the Sultan and coming to a satisfactory agreement with the owner of the land; and such purchase shall be immediately registered in the proper office of the United States Government. Article XIV- The United States will not sell the island of Jolo or any other island of the Jolo archipelago to any foreign nation without the consent of the Sultan." "New states maybe admitted by Congress into this Union; but no new states shall be formed or created within the jurisdiction of any other state; nor any state be formed by the junction of two or more states, or parts of states without the consent of the states concerned as well as the Congress." NOW THEREFORE; knowing the fact that the United Nations General Assembly Special Committee on Decolonization or C-24, has not included Mindanao and Sulu among the 17 remaining non-self-governing territories to be decolonized during its implementation of the Third International Decade (2011-2020) for the Eradication of Colonialism in all its vestiges, forms and manifestations, we the Tri-people (Lumads, Muslims, and Christians), presently inhabiting these two ancient monarchial territories for reasons, circumstances, and premises enumerated above, hereby earnestly, solidly, and jointly petition the United Nations General Assembly's Special Committee on Decolonization or C-24 to include Mindanao and Sulu among the non-self-governing territories and thereafter, for it to take due diligence and prompt action to decolonize our dispossessed and still presently colonized, highly-marginalized, economically impoverished, and gravely war-damaged ancestral homelands. To be singed by the petitioners once adopted.